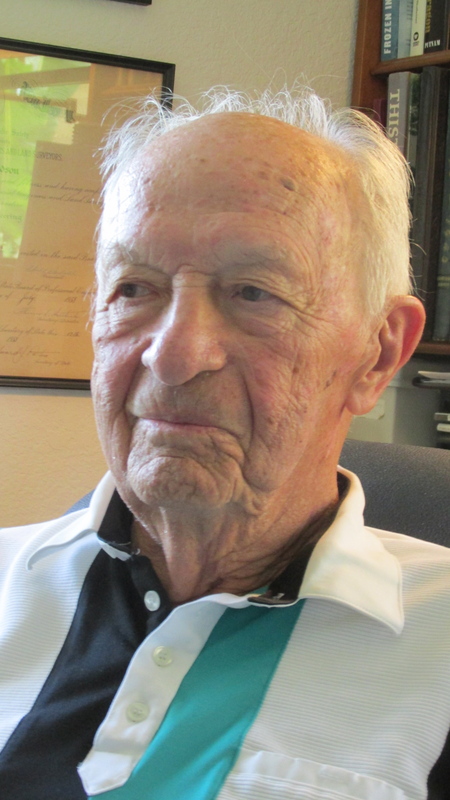 When the Germans marched into Poland in 1939 starting World War II, Bill Donaldson and all the other young men in his senior class at Strong Vincent High School in Erie, Pa. went down to the local military recruitment center and signed up. “I wanted to go to Canada and join the Canadian Air Force, but my dad wouldn’t hear of it. He said, ‘No. You’re going to stay here and fight for the United States,'” the 92-year-old Punta Gorda, Fla. resident recalled a lifetime later. “I joined the U.S. Naval Reserve in ’39 at 17 and went to boot camp at New Port, R.I. All the guys in my class from high school went down and signed up at the same time. “I ended up serving aboard a couple of old destroyers, the USS Simpson (DD-221) and the USS Cole (DD-155) during the time I was in the reserves. While in boot camp in Rhode Island I was selected as officer material and appointed to the U.S. Naval Academy in Annapolis. I eventually took the exams for both the Naval Academy and the Coast Guard Academy at New London, Conn.
“I passed both tests and decided to attend the Coast Guard Academy. Three years later I graduated from New London as an ensign in June 1945. The war was almost over. The only thing I did involving World War II, I went aboard an icebreaker, CGC Northland (WPG-49) as its navigation officer right out of school. “By then the Germans had surrendered. It was our job, the crew of the Northland, to rescue the staff of a small German weather station located along the cost of Greenland. We took them aboard our icebreaker. They were happy Germans,” Donaldson recalled almost 70 years later. “The German officers spent their time aboard ship in the ward room. Almost every morning I would take baked goods down to them from our ship’s cook and play chess with them sometimes. What do you remember about the end of the war–V-J (Victory over Japan) Day? “Everybody aboard ship was cheering like mad when it happened. We got the word about the A-Bomb on ‘Armed Forces Radio’ aboard ship. “By then I had switched ships once more and was on a frigate, the USS Lorain (PF-93), patrolling in the Pacific off the coast of Brazil. The home port for our flotilla was Recife, Brazil. “Our mission was search and rescue. They were ferrying planes from the European Theatre and the Horn of Africa to Brazil to be used in the Pacific against the Japanese. “We were stationed at the ‘Point of No Return’ for the planes. Our job was to pick up plane crews that went into the sea. We rescued a couple of pilots who had to ditch. “Immediately after the war my little frigate sailed back to Boston and I was transferred to San Francisco and went aboard a ship, CGC Taney, used as a weather station in the Pacific halfway between Hawaii and Frisco. We spent two weeks on station and two weeks off,” he explained. He served aboard the “Taney” for a year and then attended engine school and went aboard the “Northwind” that went into dry-dock in Seattle, Wash. It was October 1947 and by this time Donaldson was a lieutenant j.g. It wasn’t long afterwards he was assigned to more weather patrols. This time he went aboard the UCGC Androscoggin, a 255-foot cutter, stationed at Staten Island, N.Y. He served as deck and communications officer aboard ship. Donaldson’s first shore job in the Coast Guard he was appointed Chief Communications Section, 3rd Coast Guard District and Search & Rescue Controller for the Eastern Area. It was an important position usually reserved for officers of higher rank. In 1952 he got orders to report to the Coast Guards’ LORAN station at Upolu Point on the big island in the Hawaiian Island Chain after receiving LORAN training in Groton, Ct.
“Upolu Point was the master LORAN station for the whole Pacific. 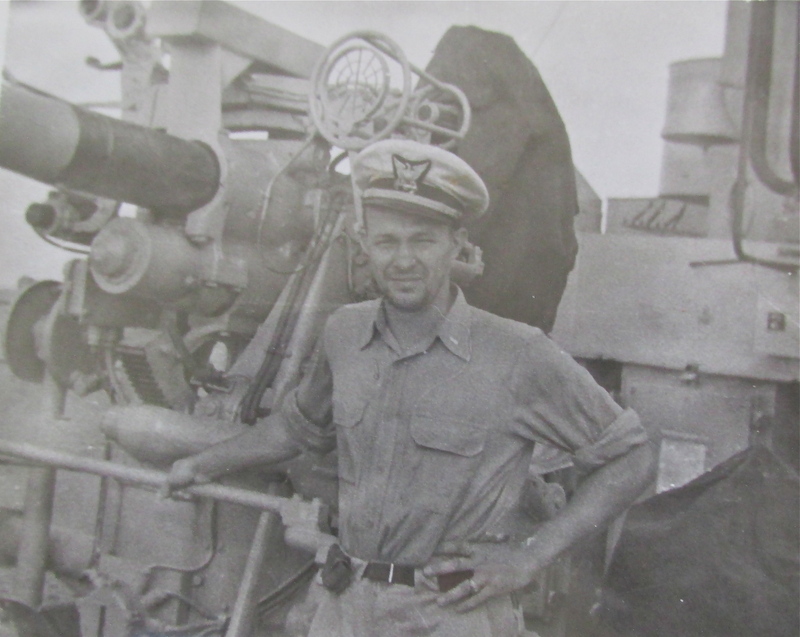 LORAN stands for Long Range Aid to Navigation and I was the commanding officer of the 12-man station,” he said. A couple of years later Donaldson’s new orders sent him back to the States to become the officer in charge of the Radio and LORAN School at Groton, Ct. Much of his off time in his new position was taken up with advanced courses in communications at the University of Connect and the Coast Guard facilities at New London. About this time he began looking for civilian employment and advancement in the private sector. 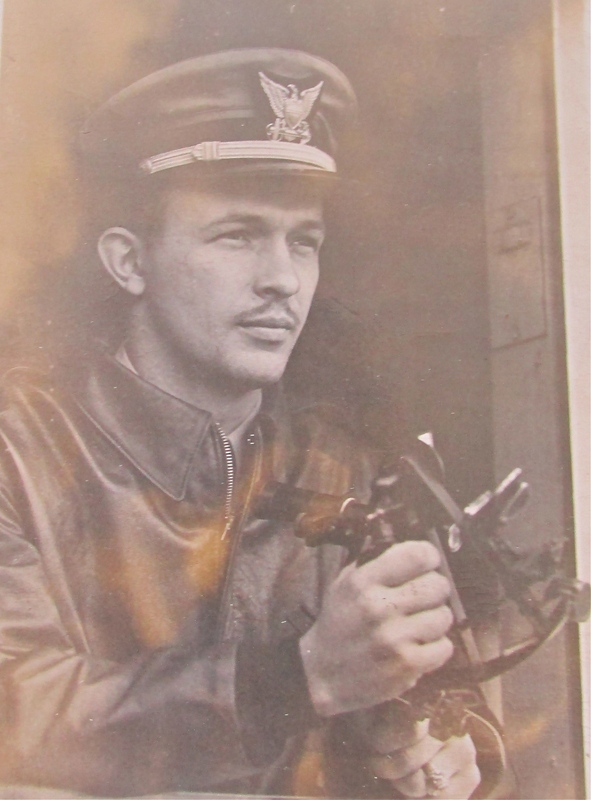 After a decade in the Coast Guard Donaldson went to work for AT&T (American Telephone & Telegraph) helping build the DEWLine, a series of radar stations along the top of the world in Alaska to protect the U.S. from Soviet air attacks–the ‘Cold War’ of the ’50s was just getting started. After three years with AT&T constructing the DEWLine he went to work for ITT (International Telephone & Telegraph). “I became the director of the engineering department at ITT. I spent the next 30 years working for them until I retired in 1985. Josephine and I came down here to Florida a year later,” he said. Altogether he served 10 years in the regular navy. After resigning his commission in 1955 he joined the Naval Reserve and spent another dozen years serving his country. Donaldson retired as a commander with a total of 22 years of service. The Donaldson’s have four gown children: Andy, Susan, Mary and Judy. This story was first published in the Charlotte Sun newspaper, Port Charlotte, Fla. on Monday, June 23, 2014 and is republished with permission. We salute you and your gallant job made in the aftermath of war in rescuing pilots in south Atlantic. See and visit the website http://www.sixtant.net which has a full fledged account on the war in the south Atlantic with hundreds of pictures and maps from that theater.